Ryan Behling is a touring musician and composer originally from Chicago and currently living in the Central Coast of California. 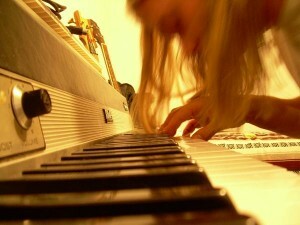 He is a trained vocalist who also plays bass, keyboards, harmonica and percussion. Ryan is the lead singer and keyboardist of RON: The Band as well as the lead singer and bassist for nationally touring performing and recording artists KAVA. Ryan will wil be doing a number of solo shows this year as well. Ryan is available to book for performances worldwide and gives voice lessons to select students. Please see the contact page for more details. 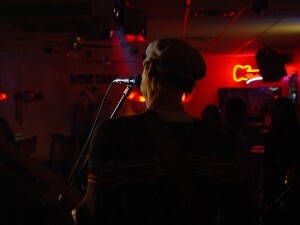 Ryan’s music career started as a child when his mother would sing to him in Plainfield, IL. His first performance was in the living room for his family playing two Sears catalogs with spoons (as the drums) as his sister sang. He sang in various choirs throughout his childhood. In Jr. High and High School, he took it to the stage and was in many plays and musicals. Most notably, he played Sky Masterson in Guys and Dolls, Lt. Cable in South Pacific and Barnaby Tucker in Hello Dolly while at Plainfield High School. Along the way, he took voice lessons from the one and only Linda Jaskoviak and started taking music more seriously by participating in contests and choral festivals, including ISYM (Illinois Summer Youth Music) at the University of Illinois at Urbana-Champaign and IMEA All-State Festivals in Peoria, IL. He then attended the University of Illinois at Urbana-Champaign where he graduated with a degree in Music Education. While in Urbana, he was the director of the Other Guys, a world-renowned acapella octet. During his tenure in the group, the group won an award for Collegiate Acapella Album of the Year (The Other Guys “Unplugged”), won the Midwest regional championship of the ICCA and were the 2nd runner up in the National competition, where Ryan was the runner up for best soloist for his rendition of Blues Traveler’s “Runaround”. They also sang the National Anthem at Yankee Stadium, sang on Broadway opening for the revival of “Grease”, appeared on three Best of College Acapella (BOCA) compilation CDs, released three critially acclaimed albums of their own and sold out Follinger Auditorium three years in a row on their annual Sping Concert. The Other Guys has been an institution at the University of Illinois for 49 years and counting. Af ter receiving a Bachelor’s Degree in Music Education from the University of Illinois, Ryan moved to Boston where he sang with Ball in the House, an award-winning six piece acapella group. While in the group, BITH released their first studio album, Love Drug and a five-song EP follow-up, on which Ryan co-wrote two of the songs. That EP eventually became a full length album after Ryan and the group parted. They also won the East Coast Regional Harmony Sweepstakes to win a chance to compete in the finals in California. Ball in the House continues to perform and record and has done very well (and in fact much better) since Ryan left the group in 1998. Realizing that he lost an hour, after almost a year out east, Ryan learned to play the bass and moved back to Chicago to start down what would become a long path of original rock bands. The first was Henderson Inches. Henderson Inches was comprised of four former “Other Guys” in Ryan (bass), Brad Haag (drums), Justin Strackany (guitar) and Dave Wagner (keyboards). Since they sang together in college, harmonies were their strong suit. Henderson Inches did a lot of shows in Chicago and broke up after about two years in the middle of recording their debut album. Ten plus years later, the question was posed … “What if Henderson Inches stayed together?” Heads exploded. In 1999, Hundo was formed. Hundo was funk band that made a lot of waves in Chicago. It was comprised of Ryan (vocals), Scott Shellberg (bass), Drew Rieder (drums), Don Sheridan (guitar), Chris Wellner (keyboards) and occassionally Mat Cashman (sax) and Kip Roderick (trumpet). One of the highlights of Hundo’s short but mighty carreer was playing the Rock and Roll Hall of Fame in Cleveland. Hundo released one studio album, “Hub” and was in the process of recording a 5 song EP when they broke up in 2002. However, the guys are all still good friends and the five song EP will be released in the next few years. The break-up paved the way for Ryan and Scott to find a new band with the hopes of gigging more and touring nationally. Those hopes quickly took shape with the creation of Starrunner. Ryan and Scott joined forces with Oscar Loubriel (drums), Peter James Zubinski (keyboards) and Dallas Wade (guitar) formerly of the Blues Monks. The band hit the groung running and within months was touring regionally and eventually nationally. They become known as true Road Warriors playing well over 500 shows in over half of the states! “Overstand”, their only studio release was a favorite of the Home Grown Music Network … and others probably. Starrunner is currently on an indefinite hiatus. Back in Chicago, Ryan and Scott teamed up to go at it from a different angle. They spent the next few years accumulating recording gear and instruments and started doing it all themselves under the name RON. Since then, RON has digitally released nine albums (or Batches) each running at 60 minutes. To commemorate the 10th Batch, RON released their first official eponymous release for world-wide distribution. They then added a third member, Mike Maerz (drums) and played many live shows. The trio then recorded Batch 10: ART while setting up their home studoe. Batch 10 was released in 2013 and the band is currently working on Batch 11. RON also broadcasts live every Tuesday night at 9pm central at www.rontheband.com. In 2009, Ryan teamed up with Marshall Greenhouse (of Chicago AfroBeat Project) and Wilson (of 1000 Vertical Feet) to form AfroZep, which is a hybrid of Led Zeppelin songs played in various African regional styles. The group has been getting a lot of attention including being named Best Led Zeppelin Cover Band by the Chicago Reader and has been played on Chicago radio many times. AfroZep has already been touring nationally and has big things on the horizon, though Ryan left the band in 2015. In 2010 while AfroZep was touring, Ryan, Marshall and Wilson started writing original music as KAVA. Since then, they have recorded six albums and have toured extensively, sometime alongside AfroZep. The albums include Beginnings, Shikaakwa, Separations, Transmissions, Prophet Bob and other EPs and live releases. KAVA has also done a number of film events, The KAVA Film Festival, where they improvise to silent movies submitted by students and amateur filmmakers. 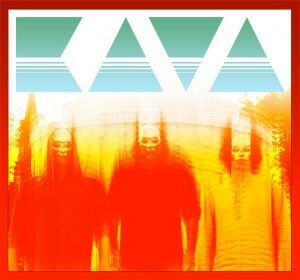 You can find KAVA at www.kavatheband.com. Ryan also played keyboard for a while from 2009 to 2013 with his old friends, 56 Hope Road, who are the true Road Warriors! They have been together for 15 years and continue to play shows everywhere. In late 2013, Ryan relocated to the Central Coast of California and continues to juggle all of these bands while shopping his various projects around. Since the move, he has written, recorded, performed and produced three solo albums, “I Could Have Been a Rocketship”, “All That Is You Divine” and “The Rusted Land”.